Dear first-terms and all of you, who would like to be one again! First of all, welcome at the Cologne University – here in the great city with “The Dome”! Whatever you may study, may it be Medicine, Law or even Esthetic Education, you are now a part of the biggest non-distance university in Germany (depending on the statistics, it may as well be Munich, but who cares). Given the fact that we have a student body with nearly 50.000 students in total, you can state that we are an extremely big and therefore diverse university, with a lot to see and even more to experience. In order to keep track on the high amount of offerings, services, projects and regulations, there is a vast number of student organizations, who offer guidance through your study, who give you advice and speak on your behalf in the university committees, for example to denounce serious deficits in the field of university administration. One branch of student organization are so called “Fachschaften”, who exist for nearly every field of study. They are your primary contact point for problems of all kind concerning your study and have their main focus on attending to the needs of first-terms in their specific field of study. But students are also organized across all faculties of the university: the student parliament, which is elected by you, deals with matters of student policy. The student council (allgemeiner Studierendenausschuss, or simply AStA) is elected by the student parliament and has executive capacity. Furthermore, there is a wide landscape of so called “Hochschulgruppen” (most likely translated as “student parties”), who campaign for specific topics. In addition to the guidance the “Fachschaften” may offer, there is also the AStA, with its various campaigns and services, reaching from a campaign to support refugees in cologne and a bike repair shop up to a legal counsel service and the AStA-Bar and many more. You can find information on all different projects run by the AStA further down below. You can also find further information on the committees and agencies forming the student body, whose representatives will be elected by all students during election week (which normaly takes place) in December by the way. The elections may also be of great importance for your study, because these committees deal with issues, like discussions over admission conditions for new study programs, phasing-out periods on outdated study programs and much more. Like mentioned earlier, there are student organizations, specific for each field of study, within the university, which get themselves involved with student policy on faculty scale. These are called “Fachschaften”. That means: “Fachschaften” are your primary place to go to, in case of any kind of inconvenience with your study or else. They even speak on your behalf with lecturers and the faculty management and in doing so, are often able to solve your problems. Many “Fachschaften” offer extensive services, like counselling and assistance, not only for first-terms, but also for students in an intermediate and advanced stage of their studies. A lot of them throw parties, organize trips for first-terms, host study related lectures and events or provide old exams and lecture-scripts. “Fachschaften” basically consist of normal students. Every student can volunteer to work there. Technically every student is a member of his, or her specific “Fachschaft”, but naturally everyone is free to play a part in there or not. For the information how and where to find specific services by your specific “Fachschaft” you can just contact the AStA division for “Fachschaften” at fsr@asta.uni-koeln.de. Students in Dual BA studies are also entitled to join two “Fachschaften”. So are students on teaching post, who can choose to participate in the “Fachschaften” of their specific field of study or in the brand new “Fachschaft Lehramt” (for teachers in training). What does “student body” mean? The student body is the self-governing body of all students at the university. Based on the “Landeshochschulgesetz” (state law on higher education) student bodies are provided with various rights and obligations, which are claimed and fulfilled by different committees. Currently the “Hochschulzukunftsgesetz” (higher education’s future act) is in force in the state of Northrine-Westfalia . Student participation into faculty management is organized differently throughout all six faculties. In four faculties (Economic- and Social Sciences, Law, Philosophy and Human Sciences) 15 representatives are elected to decide on the faculty statute, the budget and to elect the faculty committee, which has executive authority. In the Faculty for Mathematics and Sciences student committees with executive powers are elected directly. That happens in the fields of Biology, Chemistry, Geography, Geosciences (consisting of Geology, Geophysics, Meteorology and Mineralogy), Mathematics and Physics. Next one to join this practice will be the field of didactics. Those student committees have three Members (Chemistry has five members). The Faculty for Medical Sciences has 15 student representatives representing the students of Human Medicine, in the field of Dentistry there is a student committee consisting of seven members and the field of Neurosciences has one with three members. Besides through student committees, student representatives also exercise their democratic rights in various other committees. We have three student senators- the senate is the highest decision-making committee at the university-, who are also elected during election week. Amongst other things, electing the rectorate (in fact the universities headmaster) and legislate or change the universities basic rules are its main duties. You are also entitled to elect one female and one male representative for the equal opportunity board. This board supervises the enactment of gender equality measures and its proposals on equality policy are referred to at the whole university. Last but not least we have a council for student employees, which convened for the first time this year. This council will fight for student employee rights at the university and can also act on behalf of individual student employees in negotiations with his or her employer. The StuPa is the student decision-making committee of greatest importance. Each year in December every student, who enlisted at the university as a regular student, has the right to vote for candidates campaigning for a mandate in the student parliament and can campaign him- or herself. These candidates compete in different lists- each list representing a political student party. Currently 51 student parliament seats are occupied by nine different Parties with different political agendas. These parliamentarians elect the AStA, decide on its budget and influence its political work. Furthermore the StuPa discusses and enacts student motions with regards to content, e.g. statements about management issues like a lack of seminar places are devised, so that student representatives can carry the students positions into their respective committees. The AStA is the surpreme committee of the student body and is elected once in a year by the members of the student parliament. It speaks on behalf of all students- so on behalf of you as well- inside the university and also takes care of your individual problems in the university everyday life. For instance, the AStA negotiates the conditions of the “Semesterticket”- it is the ticket entitling you to the use of various public transportation vehicles during the semester- and offers services like the bike repair shop and the “AStA-Store”. The AStA consists of members of the student parties with seats in the parliament. Those parties then step into coalition negotiations in order to form an AStA with controlling interest. The coalition finaly elects the AStA in the student parliament, consisting of the managing board with three students and five heads of division, which afterwards supervise the work done by project managing students assigned to their specific divisions. The Division for Social and International Affairs makes an effort to help students, who are in a social or financial crisis, or have difficulties in their student everyday life due to troubling private conditions, illness or a physical disability. It also speaks on behalf of international students, who choose to leave their home countries to study here. Various campaigns, like for example the holiday childcare program for student’s children, or the emergency accommodation service during the first weeks of each semester for students, who were unable to find proper housing in cologne yet, are run by the Division for Social and International Affairs. Furthermore the division organizes donation campaigns for refugees and also operates a mentoring program for international students (aka TEAM-Program). The main task of the Division for Political Affairs, as itself states, is the political representation of the students to the university and to the federal state of Nordrhein-Westfalen (NRW). That includes running campaigns against the general lack of seminar places and also dealing with topics, like compulsory change of study courses – e.g. from outdate ones with final state examination to ones more up-to-date with bachelor degrees. In order to represent the student’s interests more efficiently, the division cooperates with various student organizations all around the country. The Division for Ecology and Infrastructure at the cologne university is responsible for campaigns promoting ecological sustainability and focusing on infrastructural issues related to student life. Therefore, it organizes various roadshow events, for example one on the current cycling situation in cologne. It also runs various projects and services, like the “Gemüsekiste”- a cheap vegetable flat rate service, which will supply you on a weekly basis with fresh vegetables directly bought from the farmer-, a cargo bike sharing service, second hand parties, “Repair-Cafés” and the “Tag des guten Lebens”, which means day of the fortunate life. The Division for Fachschaften is entrusted with supporting the work of those Fachschaften. Therefore, it facilitates networking between the Fachschaften and also calls meetings across all faculties. In the past those meetings were held up to three times in a year. The topics discussed in these meetings usually also are of higher importance. The Division also runs a register for Fachschaften- with steadily growing record numbers- and organizes the learning event called “lange Lernnächte” -long learn nights – in the university library. The Division for Anti-diskrimination and Culture provides to the purpose of making the cologne university a place free from discrimination of all kinds and sustaining its diverse and colorful identity. Under the title “Kultour” the Division organizes in cooperation with the autonomous alien division various cultural- and dance events, where students have the chance to get to know the vast number of different cultures residing at our university. Furthermore, it is working on an online tool for reporting when cases of discrimination at the university occur directly to the AStA, so that we can react directly and take counter action. All services and campaigns run by the AStA and its division are directly funded from the student council budget, managed by the student financial accountant and approved by the student parliament. The AStA, the student council, manages parts of the money you pay as semester fee. Currently the AStA receives 186,12 € from each and every student per semester and spends the biggest part of it for your Semesterticket, which enables you to travel through the whole state using public transportation services. Furthermore the AStA manages budget of the Fachschaften. To do this, the AStA is given executive authority by our student parliament, mostly like the German Bundestag does with its federal government. The rest of the money is spent on the various campaigns and services previously mentioned, which are run by the AStA, but also on the so called autonomous divisions, which will be mentioned further on a later section. Also other student groups, like non-political student groups are entitled to funding through our student budget for student-related purpose. Of course all these campaigns, projects and services are free for all students at the cologne university. The AStA-Bar is run by students and is easy on one’s purse. It is located inside the facility known as AStA-Café, opens its (fridge) doors once or twice a week and serves cool drinks of all kind. 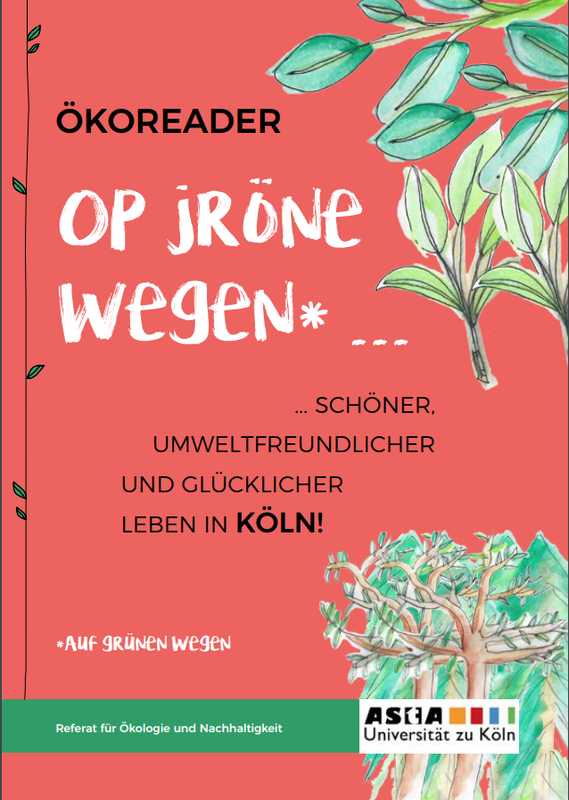 The special cocktail nights and its cooperation with “Café ohne Worte” (Café Wordless) – an event, where you get served by hearing impaired persons – are worth mentioning. The shop serves as our secretariat as well as a stationary shop, where you can purchase basic materials you may need for your studies to a cheap price. This is your place to go, if you may have any questions concerning the AStA. At the autonomous AStA bike-repair-shop “Mitschraubgelegenheit” students can learn to repair their own bike, while being supervised. During office hours you can not only get help from trained personnel but also purchase spare parts nearly on base price. The repair shop serves drop-in center for small problems with your bike, like wheel changes, light- and brake mechanisms, crossings, bells, pumping. But depending on the complexity of the problem, the people of the shop might also be able to help in more challenging cases or at least give advice to more convenient alternatives than repair. In summer the AStA offers childcare for students during the final exams period, before semester break begins. You’ll find further information on office hours, terms and conditions, as well as application procedures on the AStA website. Lots of students experience difficulties while trying to apply for social- and/or financial benefit programs necessary for their studies. Regulations on this subject simply are too complicated for one person, to grasp it instantaneously. That’s why the AStA installed a counseling office for social and financial issues, to not leave its students standing in the rain. The office also gives advice to students in social and/or financial crisis, unattached to German benefit programs. You don’t need an appointment. Counseling via email or phone is not available. Cooperating with the “Apfelbacher” organic farm, the AStA can offer an organic vegetable box, with seasonal fruits and vegetables. You can subscribe for this service, which is available as home deliveries twice or four times a month, or as pick-up service on Wednesdays between 2pm – 6pm in the AStA-office in building No. 106 (Seminargebäude). There are two different packages. The basic package comes at a price of 15,80€ per box (12€ for pick-ups) containing fruits, vegetables and herbage. For 19,80€ per box (16€ for pick-ups) you can get an upgrade containing extra sauces, juices, noodles or rice. Both packages come with cooking recipes. If you choose the home delivery option, you can also equip your box with extra bread, milk, eggs and other products. Subscription forms are available on the AStA website. Besides the regular divisions within the AStA your semester fee is also used to fund so called autonomous divisions. Their main task is to promote socially disadvantaged fringe groups at the university to improve their status on campus. The Autonomous Division for Disabled Persons speaks on behalf of all students with disabilities or chronicle illnesses. The Autonomous Alien Division represents all foreign students and students with foreign background at the university works hard on issues of integration and equality, as well as it is fighting discrimination in any form. The Working Committee for Anti-Fascism gets involved with measures against nationalistic and discriminating ideas. It organizes demonstrations concerning current topics and provides to the fight against right wing mentalities and discrimination. The Autonomous Division for Student Parents is the youngest of the autonomous divisions and serves as contact point and representation for student parents. On the one hand the divisions work focuses on concrete improvements concerning the social status of student parents, on the other hand it promotes networking of different actors, who mainly concentrate on family policy. There exist political- as well as non-political student parties at our university. The political parties can be elected each December for various committees and differ in their political orientation. The whole political- and self-governing functions of the student body are possible only because of and have been achieved by the voluntary work those student politicians do. By name those parties are: “campus:grün” (Green Campus), “Juso Hochschulgruppe” (Student Party of the Young Socialists), “Liberale Hochschulgruppe” (Liberal Student Party), “Linke.SDS” (Left Wing Socialistic Democratic Student Alliance), “Die Unabhängigen” (Independent) and “Wendepunkt” (Turning Point), “Campus Union” (Campus Union), “HSG SoWi” (Student Party of the Social Sciences). You can find information on the different parties and about how to get involved into student politics on their respective websites and also on the universities website, when you look for “Studentische Selbstverwaltung” (student self-government). Furthermore there is a vast number of non-political student parties, which commit themselves to various topics and groups at the cologne university. You can also find information on these parties via the university website.